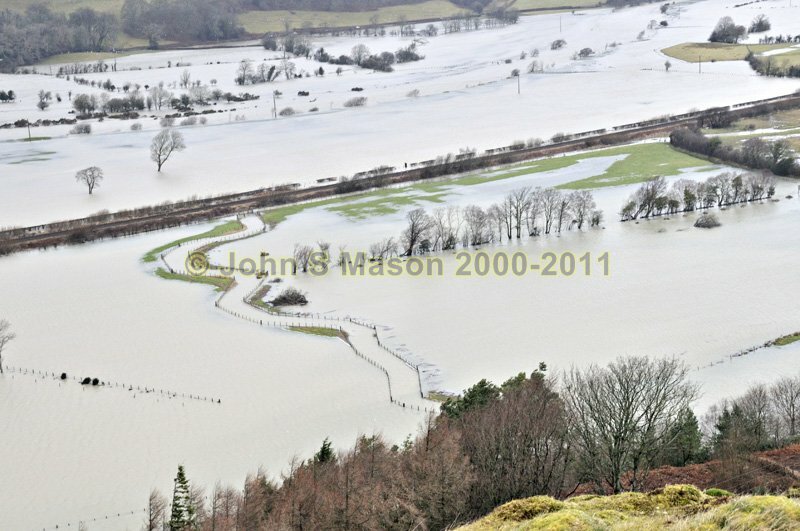 A major valley-flood is still rising. Taken from Y Wylfa, looking at the flood-plain below Machynlleth. Product number 011170. Email me to enquire about this image: click HERE.